The 3rd edition of the International Congress of Religious Tourism and Pilgrimages will take place between 6-10. November 2019 in Krakow, Poland. 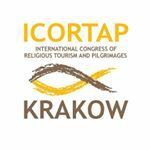 The Congress will be opened on the 7th November, by the both secular and clerical authorities of Krakow. An opening Holy Mass will be celebrated, followed by speeches, lectures and a workshop (expo) with the representatives of the local sanctuaries and tourist attractions. 8th, 9th and 10th November will be a chance for the guests from around the world to visit Krakow and Malopolska Region (Krakow Old Town, John Paul II Center, Divine Mercy Sanctuary, Salt Mine in Wieliczka, former German Nazi Concentration Camp Auschwitz-Birkenau, the church and museum of Wadowice - Karol Wojtyla’s birthplace, the Basilic in Kalwaria Zebrzydowska and of course the Black Madonna Sanctuary in Czestochowa).